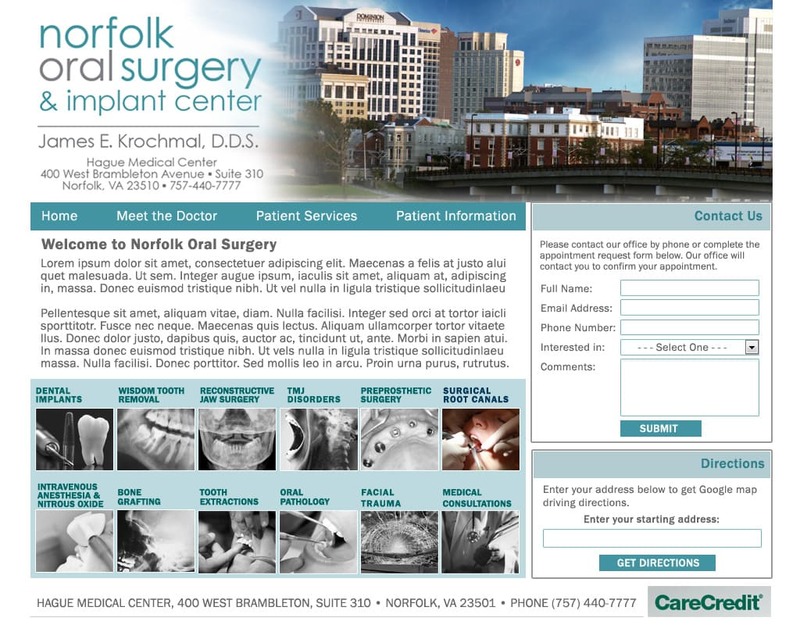 Surgeon website design Norfolk VA. Website design for surgeons Norfolk VA and website design for doctor surgeons Norfolk VA.
We design professionally medical websites for surgeons. We have designed a wide variety of medical websites to include gastroenterology specialists, ear, nose and throat (ENT doctors), oral surgeons, general dentistry practices, dermatologists, plastic surgeons and many more. 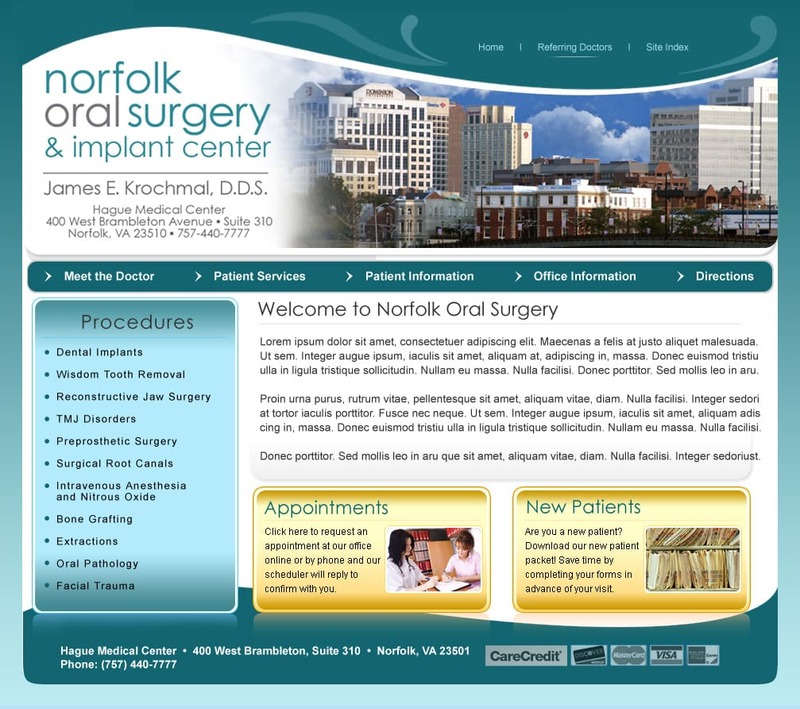 If you have a medical website design, you want a website that gets found on major search engines; especially Google. You want a professional medical surgeon website that supports your existing surgery patients and is easy to navigate for potentially new surgery patients. VISIONEFX has a long history for creating exceptional medical websites that have stood the test of time. Most of our surgeon medical website clients come back year after year for upgrades, web maintenance support and website redesigns. responsive, full screen web design and is more affordable than you think. We design websites for your small business to get you noticed by people searching online. We use message branding, tag lines, iconography, graphics and composite photos strategically positioned your new web site to capture the interest of potential visitors. VISONEFX proudly serves small business owners nationwide.